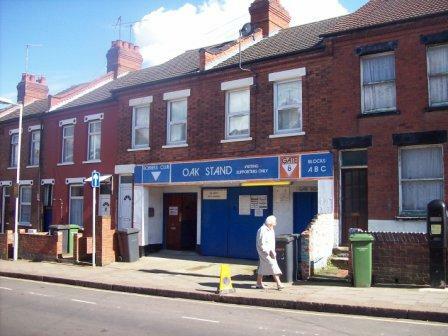 Kenilworth Road is a ground that has until now eluded me. Virgin trains did their best to keep this tradition up, but I did eventually make it, albeit a tad late. I can’t begin to tell you how much that irks me, to turn up late to a football match. It’s like buying a jigsaw to find there’s pieces missing. Anyway, Luton’s has hitherto been a virgin ground for me, as they managed to avoid being in the same division as Brighton for ages, and when we did finally meet recently, there were always logistical reasons such as evening kick-offs to stop me going. Luton Town for me evoke some strong images and events; their orange kit, Raddy Antic’s goal at Maine Road in 1983 in the 86th minute to keep Luton up and send hosts Man City down. The pom-pom headed Serbian’s celebration was memorable, but overshadowed by his manager David Pleat’s, at the final whistle. In his grey suit and tan shoes, he gambolled on to the pitch in celebration, waggling his suit jacket up and down a bit with his hands, in a particularly fine display of British ecstasy. His celebration can only be successfully aped by middle aged awkward men, preferably accountants. Then there is the famous plastic pitch from the 80s, following QPR’s lead. This was very unpopular leading to the obvious taunt of ‘You only win on the plastic’, which as it happens wasn’t without an element of truth. Then there was the banning of away fans for 5 years after the Millwall cup tie, in which Millwall fans ripped seats out of the ground, and threw them on the pitch. The ban and membership scheme led to them being kicked out of the league cup for failing to relax admission rules, and led to Kenilworth Road being the Holy Grail to ’92 club’ wannabes who weren’t Luton fans! The game against Brighton could’ve seen Luton relegated to League Two, helped by the 10 point deduction for going into administrationearlier in the season. And it did. 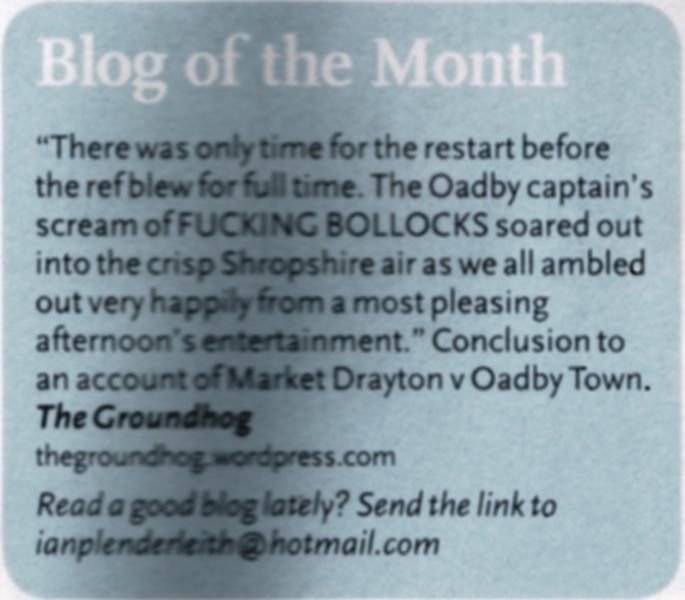 We won 2-1, which kept alive our slim play-off pretensions at the same time as sending the Hatters down. Luton didn’t look as bad as their league position suggested and they took the lead shortly into the second half. However, very un-albion-like, we responded immediately with a header in off the bar from Westlake, and almost as quickly again with another header from a cross, this time by Murray. All this in the space of 10 minutes. Kenilworth Road, on television, had always looked a bit dodgy to me, with the view being, predominantly, of one whole side devoted entirely to executive boxes. It always looked to me like a conservatory showroom. From the inside the ground looks amazing! It kind of went from being about 75th best in the league in my mind to top five standard. The TV cameras really don’t do it any justice. It is a very close-to-the-pitch atmospheric ground, and in the context of the whole even the conservatories don’t look too bad. It reminds me a lot of QPR’s Loftus Road. I love the corner stands that look like they’ve been added some time after the other stands were there. The two-tier gap-filler really adds character to the ground, but one of the great features of Kenilworth Road and surely the deal clincher for anyone on the football ground market, is the entrances for the away fans. The club must’ve bought a few terraces in the street which now comprise the turnstiles. As you go through the turnstiles metal staircases lead up to the ground, giving you a birds eye view of the washing lines in the back yards of all the terrace folk. It is quite surreal. I hope Luton come back up straight away. I have always liked Luton, despite the away fan ban and the plastic pitch. They have a bigger pedigree than people think (actually, than I think, because I don’t know all people, in fact I don’t think I’ve ever asked anyone about their stance on Luton’s standing in the great scheme of things. I just think of them as always being lower division) – with two spells in the top flight, an FA Cup final appearance in 1959 when they lost 2-1 to Notts Forest and a League Cup in 1988, winning the final 3-2 against Arsenal. One thing that this match has taught me (for the time being), is forget going green; I’m driving to football matchesfrom now on. Another fine report Mr Groundhog – superb photos. I have nothing against the club but they did nothing to help themselves during the plastic pitch/away fan ban era. I was a member of Luton Town FC during that period and was able to watch all the Spurs matches there during that period. In fact each time I was allowed to take 3 guests with me. It was easy to become a member if you lived in the Home Counties and the only proof required was to submit 4 match programmes! At the time the obnoxious David Evans was Chairman of Luton Town. I and many others believed he was just out to win political favour with Margaret Thatcher – his understanding of the game, history and passion of fans could have been written on the back of a postage stamp. Of course he moved on to be an MP. 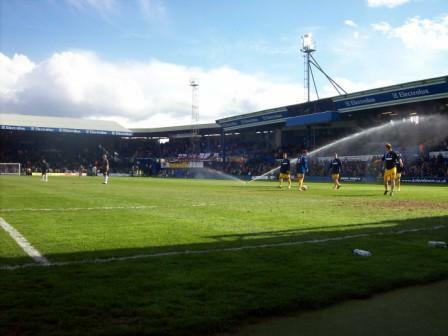 During that time I assisted supporters of many different clubs in gaining access to Kenilworth Road. I was not alone. I shall never forget the enormous roar that went out around the ground when Spurs scored there during the first season of the ban. the home supporters appeared resigned to it. All it had done is destroy any chance of segregation. To be fair many Luton fans were against the ban. 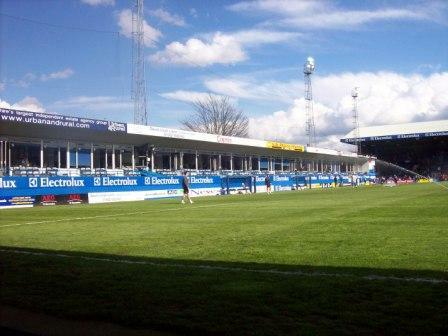 There are a couple of established non-league clubs within a short walk of Kenilworth Road – The 61FC and Brache Sparta. Another great report as always. Certainly a very, very unusual-looking ground! I didn’t know the politics and dodgy characters behind the away fan ban etc. I was only 13. It was at a time when there were a lot of knee-jerk reactions to crowd trouble. I don’t think you can think bad of a club because of a decision made by suits with little interest in football, who just happen to have a connection. It was a bad decision though! Well done for playing the Ché Guevara figure by helping to get fans in! Liberation for all football supporters! For many years there was talk over Luton Town FC relocating away from Kenilworth Road (Kolar Dome?) For the club to prosper this would have to happen. As ‘interesting’ as the current ground is, it has been left behind. I fear they may have ‘missed the boat’ with MK Dons picking up the floaters of Beds/Bucks. Delighted for them winning the League Cup in 1988 of course! Good article though and a great website. Have you been to any of our Cambridgeshire grounds yet? Thanks for your comments, always appreciated! I have been to Cambridge United in about 94, they beat Brighton 2-1, we were huddled under a roof in a snowstorm during the game – it was quite cosy. The only other Cambridgeshire ground I’ve done is Peterborough in 1985, my first away ground, for the FA Cup 5th Round tie. Is Peterborough in C’Shire still? Google reckons it’s in Northamptonshire now? Anyway both grounds were nice especially London Road. My non-league grounds are nearly all in the North Midlands/North region so far. I am 74 years old and have not missed a Luton Town home game in 42 years. That’s impressive. Which was your favourite season in that time? 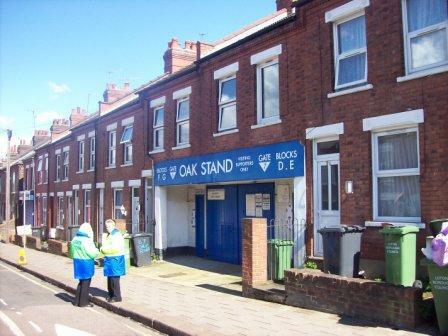 The picture is taken in Oak Road (hence the name of the stand). My grandmother lived 50yards to the left of the photo. Handy on match days! Very handy indeed. I used to live opposite Deepdale and used to nip in for the last 20 minutes for evening games. I once got extra time thrown in too, with the final score 4-5. Thanks for your comment. Must be weird to see your house on a blog.